When you decide how much to insure your caravan for you can sometimes choose between 'market value' and 'new for old'. 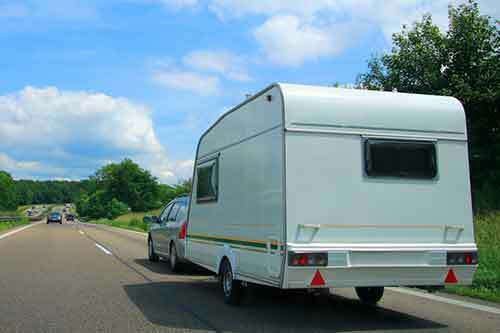 You would usually only select 'new for old' if your caravan is quite new and expensive. Having said that, 'new for old' tends to refer to accessories rather than the caravan itself. So what's the difference between market value & new for old? 'Market value' means your caravan will be insured for how much it would be worthwhile on the current market. So if, say, you bought your caravan new for £19,000 and you had the bad luck to have it completely written off soon after you'd bought it, you'd be paid £19,000 (or very close to it, depending on the time and any excess charges) from the insurance company. If it were written off ten years later and the market value was around £9,000, then that's what you'd get from the insurance company - basically enough money to buy a similar of caravan of a similar age. With 'new for old' you'd get £19,000 from your insurance company, enough to buy a new equivalent. Obviously market value will have a much lower premium than new for old, and that's its main attraction. New for old is generally only worthwhile on a new and expensive caravan. The 'Sum Insured' refers to the maximum amount a policy will pay out. If you had a small fire in a caravan insured for £9,000, and the damage was estimated at £1000 to fix, the insurance company would pay you £1000 (minus any excess). If it was a complete write-off then you would get no more than the sum insured - £9,000. As you can see, understanding these terms and the way they are applied to your policy is important. It's for this reason that you should keep an eye on your caravan's value as it ages. The last thing you want to do is find out that you're under-insured when something goes wrong, so if you're on a market value policy, check how much your caravan's worth each time you renew. Bottled gas transforms caravan living, whether you're in a static or touring caravan. Gas has to be treated carefully though, to avoid insurance claims or calling the emergency services. What alarms can you install on your caravan? Almost four caravans are stolen every day in the UK, on average, and most are never seen again. Find out more about the different types of alarm you can buy for touring caravans.